Located on the perimeter of Carlin Park, this popular 55+ community was built in 1973 and features 50 condo units in four 2-story buildings. Units offer from 750 to 1,000 square feet of living space with 1 to 2 bedrooms. 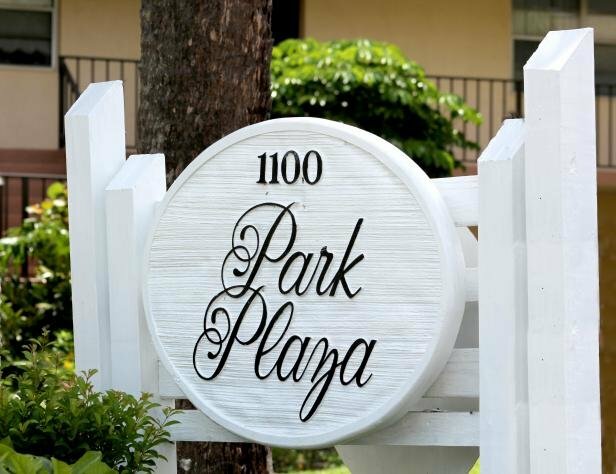 Park Plaza is only a short walk to the beach, Harbourside, the Maltz Theatre, excellent restaurants, movies, and more. Residents enjoy an amphitheater, swimming pool, tennis courts and clubhouse.